Digital Marketing - SEO, SMO, PPC, Graphics Designing: How to Design Creative Graphics Effectively? How to Design Creative Graphics Effectively? 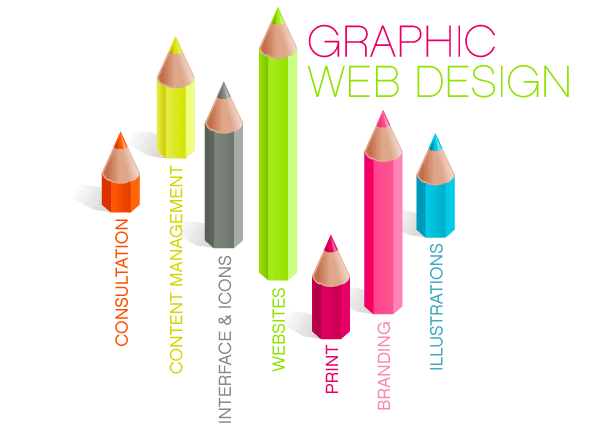 Today Graphic Designing has become the most important service for any business. Nowadays, every business needs something special in order to make them stand out from other businesses and it is graphic designing that provide a unique identity to every business or a website. These days, every business, company, or organization is having their own website and the most important element of a website is the graphics, visuals, and images. Graphics are not only used on the website, but they are also highly used in the printing materials like leaflets, banners, brochures, business cards and greetings. Photoshop is a most popular graphics editing software by Adobe that is used by professionals for editing and modifying any photo. It can be used with any operating systems and is available in multiple languages. Photoshop can be used to create images from scratch to modify simple photos into a professional one. In early days Photoshop was used to help image editing for the purpose of paper-based printing. But as technology advances, the functions are also been advanced. With the continued demand for image editing software’s, Adobe Photoshop has clearly emerged as an industries leading player. How Photoshop can turn simple photos into professional ones. 1. Even if you are using SLR digital camera with red-eye reduction, it will still happen. Photoshop has red eye tool that will completely remove the red eye from the picture. 2. The user will be able to create photos with more brighter and more vibrant colors. Photoshop is used to clean up a photo as well as beautify its overall look. 3. Adobe Photoshop can be used to create Print Media, Web Media, Mobile Applications and in Image editing works. 5. It can be used Photoshop to import the videos and the photos into the software quickly and easily. CorelDraw is exceptionally exact and solid. It gives most appropriate controls in terms of designing; however, you should find a tough way to learn it. CorelDraw is most frequently and commonly used graphic designing application today. Previously CorelDraw was first drawing application that was fully window based application. Later some version of it was compatible with Apple Mac too. It is not compatible with Linux OS. It provides wonderful tools and commands which are most useful in illustration and layout making. It is also capable to make graphical artists task easier, simpler and faster to understand. The most popular logo design software is Corel Draw which is preferred by almost every logo designer because of its unique features. 1. Fully customizable interface and tools that allows a user to change whatever he likes to. 2. Corel is cheaper than other Logo design software packages. 3. It does not take too much time to download files and does not consume much space on your computer. 4. Corel Draw files can be converted to PDF. Where is CorelDraw mostly used? Today, Adobe Illustrator is one of the most widely used graphics designing tools by various designers all over the world. Unlike the Photoshop and Coral Draw, Adobe Illustrator creates the vector images that could be expanded to indefinite size without breaking the pixels. This ultimate feature of the Illustrator makes it quite handy for the designers to create and print the huge banners, and graphics without sacrificing the quality of the image. The other important thing to know about the Illustrator is that it stores the images and data in dots and grids instead of the bitmap. Illustrator uses the math’s based equations in order to draw the images based on the math equations and calculations. • It offers higher flexibility with customization. • It has a very friendly user interface that allows users custom viewing of graphics. • Unlike Photoshop and CorelDraw, Illustrator provides multiple options for text edits and its formatting. • Illustrator increases the productivity by allowing a high level of multi-tasking for the designers. • Since Illustrator use vectors, therefore, it allows the creation of graphics of indefinite sizes without losing their pixel strength and affecting its resolutions. CreativeClick, a graphics designing company in Indore, India use the above software’s effectively and design the graphics as per the need of the client. These creative graphics help the clients to make their brand identity through Digital Marketing.